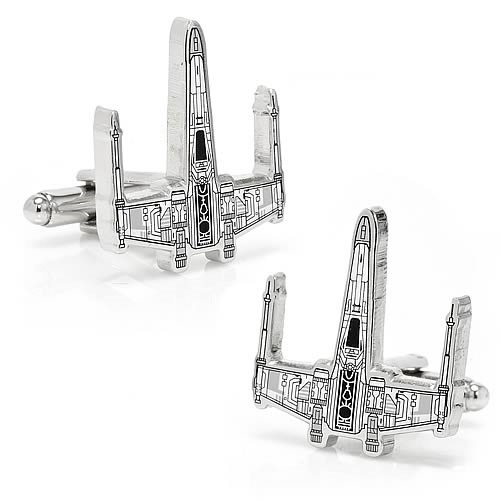 Class up that tuxedo with the help of Star Wars and these excellent Star Wars X-Wing Starfighter Blueprint Cufflinks! Luke Skywalker would've worn these if he had to make any impromptu repairs to his X-Wing Fighter, and if they're good enough for the last hope for the Light Side of the Force, then they're good enough for you. The X-Wing Starfighter's blueprints would look great on your suit! You can really flaunt your fandom when you wear these excellent Star Wars X-Wing Starfighter Blueprint Cufflinks. Measures about 1-inch tall.